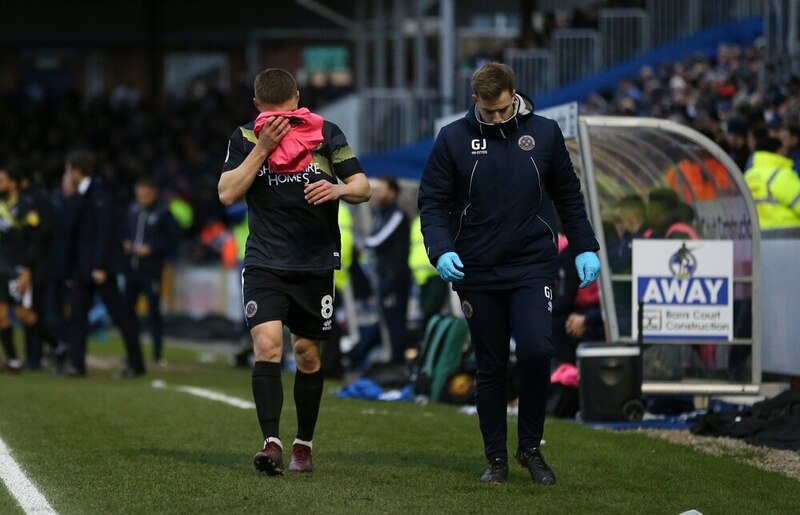 Boss Sam Ricketts revealed his disappointment after a Shrewsbury Town vehicle taking Greg Docherty to hospital was allegedly pelted with missiles at Bristol Rovers. Town substitute Docherty was on the field less than half hour before he had to be taken off after complaining off blurred vision. He had taken a ball to the face in the Rovers box during the ill-fated 1-1 draw at the Memorial Stadium. But, while leaving the stadium during the final stages of the match in a marked Town vehicle, the car was allegedly hit by several objects. "Doch had some bleeding in his eye, he wanted to carry on. But as it went on he started to struggle with vision," said Ricketts. "Doch's left early to go to the eye hospital. I'm a bit disappointed with how the vehicle was treated taking him with objects thrown when they're trying to leave the ground and get to hospital. "That's disappointing. Hopefully he'll be OK."
That was one of the incidents that left Ricketts unhappy after his side were pegged back to draw 1-1. The Town boss feels Graham Coughlan's hosts should have found themselves down to 10 men for Abu Ogogo's kick out on Ollie Norburn early on. He feels Norburn should never have been shown his first yellow - as the Town man survived a Gas appeal for a second yellow. And Ricketts strongly believed the late red card to sub Dave Edwards was 'unjust' as the midfielder was 'caught in the heat of the moment' by inexperienced League One referee Peter Wright.